After an impressive performance in Dangal, Sanya Malhotra is back on the silver screen alongside debutante Radhika Madan in Vishal Bhardwaj’s next film titled Pataakha. The film is women centric action drama film featuring Malhotra and Madan in lead roles. The official poster of the film was released by the makers on their social media handles on Monday afternoon. Take a look at the poster. From the looks of the poster, the two actors are at war with each other and settling their difference fighting with each other all the while covered up in mud from head to toe. The poster itself is an interesting angle of the film as it showcases the film won’t be a typical chick flick and will have something to watch out for. 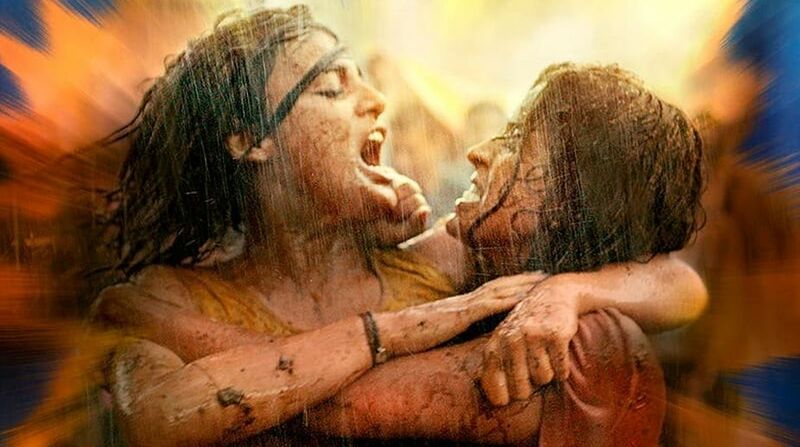 Coming this from the visionary mind of Bhardwaj, who has given us films like Maqbool, Omkara and Haider, Pataakha is surely one film to look out for in 2018. With that being said, it’ll be interesting to see what Bhardwaj has to offer after a terrible performance at the box office with Rangoon, which was also panned by critics. The film also stars Vijay Raaz and Sunil Grover in pivotal roles, and is scheduled to release on September 28.